Color is probably one of the most powerful psychological tools and we are often not even aware of its power. If you didn’t know it by now, the industrial psychology has a special field that studies the in-depth psychology of color. Color is a very important factor in online branding, not solely for logos, but for web graphics in general. A simple shade of red could either send a good, positive message or generate an aggressive state of mind. To put it clear: color drives emotions and emotions are the most important factor in decision-making. Color psychology is rather hard to define when we consider cultural differences, personal beliefs and subjective meanings. But some general aspects might help you in choosing the right colors for online branding. First of all for a business website you should avoid dark backgrounds, especially black. It is true that dark backgrounds, when used wisely, might create a “charmed” atmosphere, but is this the message you want to send? Shouldn’t you be focusing on “reliability”, “trustworthiness”, “quality” and other such positive values? For a business website, avoid the “Twilight Zone” look and feel, unless you sell magic potions, books of mystery or other such products. Light backgrounds are the best choice to create uncluttered layouts. This is also the latest trend in web design. The “heavy” websites of the past, with their saturated colors, their marble tiles patterns and their stripped backgrounds are passé. Sophisticated designs employ light colors with random dark hue accents, simple layouts and high quality, unique graphics that match the color scheme of the design. Logos should still employ powerful, recognizable colors, the kind of colors that capture attention and appeal to the senses. Usually, blue logos don’t fail because blue is the favorite color of a clear majority of people. A look at the clear blue sky would help your body produce the chemicals you need to relax. But when it comes to dark blues, too much might cause stress and nervous tension. Commonly logo designers use navy blue for business-to-business logos, for financial logos and for official logos, as this color suggests dependability and straightforwardness, precisely the values needed for such affairs. Green, in its various shades, is perfect for the hospitality industry, food industry (especially for BIO products) cosmetic (if we consider Yves Rocher and Garnier) and ecology. Although each color has its audience and its industry, there are cases when one color might be successfully employed for atypical applications. It’s just a matter of “how to” design using that color and other hues to create the best color combination. Reds and orange are not so easy to deal with, especially online. But they do have their fans (Ferrari, Coca-Cola, etc) and with a good design they will reach the targeted audience faster than other colors. That’s because red is the color of energy, movement and excitement. Well, I didn’t write this entry to teach you “how to use colors”. Obviously I am not a designer, so I have some shortcomings when it comes to “how to”. But knowing the basic-general rules has been really useful in my job. And if you want to make the most out of online branding and online PR you should know them too. 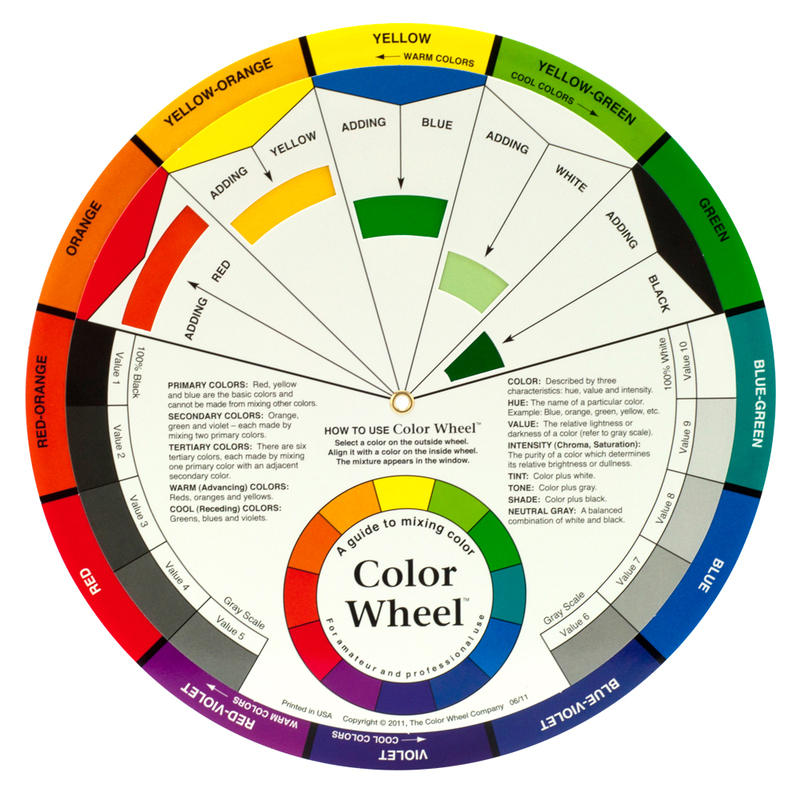 I suggest you perform a short online research and read more color-psychology related articles. The Color Symbolism from Wikipedia is not bad. Interesting article and one that makes me feel more vindicated with my recent redesign of Holiday Pad, which I did before your article. I’ve already noticed an impact from the new design – just in the past 2 weeks the average page view has doubled! Not a bad design, Garri. The yellow on the top bothers me a little. Why don’t you try a more positive orange? We ran out of orange! What do you mean by, “blue logos don’t fail”? How do you define the failure of a logo? I thought the comment about the popularity of the colour’s use in logos spot on. For example during a colour analysis we did of the tool and die industry, 74% of the logos were blue. This fact only told me, what colour to stay away from, as we use differentiation as a strategy – we prefer to lead than follow. A logo fails when it does not inspire, when people don’t remember it, when it transmits no emotion. I agree with you that, in special situations, other colors are a better strategy, but for businesses that need to inspire a steadfast service, quality, dependability, etc., blue logos have a better chance. And I am sure you know thousands of brands that have blue logos and lead! Let’s see: Philips, SIEMENS, NIVEA (white type font on blue background), Ericsson (not the new Sony Ericsson), VISA, Pfizer, Volkswagen, IBM, Intel, BMW, Ford, Pepsi (main blue plus a touch of white and red! ), SUN Microsystems, AT&T, Levi’s, Wal-Mart, HBO, Absolut Vodka, AC Nielsen, Accor, ADT Security, The Brink’s Company, AlltheWeb, Allianz, American Express, Fanta, Fiat, GE (General Electric), Geico, Hilton, HP, MSN, NATO, Rheinmetall (Defence Electronics), Thales (Security Solutions), Olympus, Panasonic, Pelikan, Peugeot, Samsung, SEARS, etc. If I take a look at these companies, one thing is clear: it’s not the color of the logo that makes them famous, but their (respected) promises of quality, tradition, unfailing service, corporate values and standards. While a logo matters for brand’s recognizability, it cannot determine the public trust the brand on its own. There are other factors businesses have to consider to succeed. The logo is just one link in the chain. I am sure that if you offer a great service you will lead, no matter what colors you use for your logo. The logo is just a symbol that will help you promote your business. And if you take it alone, no matter how great that logo is, no matter how cool and out of the ordinary its design might be, what’s its use if you have nothing that satisfies your customers? I like your definition of a failing logo. It might an interesting exercise some day to take all the successful blue logo examples you’ve given and see if all the leaders in their individual markets are also blue, or if they own the colour blue. In the case of Pepsi this would be true given the fact that Coke owns red. Your last paragraph’s first line is golden. It is indeed the entire brand relationship that contributes to making a brand successful. When I discuss focusing a corporate brand, and we are trying hard to differentiate, colour is one aspect we pay close attention to. Because colour can be a powerful icon from many levels including psychology, mythology, symbolism and differentiation. To me a great logo hits it’s target audience in the gut. It can make them think a certain way about the brand. How it is designed can give the impression of many things. Sometimes I ask, ” how old do want to look?” Sometimes you might want to give the impression of a stable well-established firm. (law firms for example) Try to instill a sense of trust from the impression. Your image is the first exposure a prospective customer has when confronted with your brand initially. So, you have to take every consideration to make sure you hit the mark emotionally. If the colour palette differentiates, if the design hits the sweet spot, if the name inspires – I believe you have a better chance of delivering the rest of the brand message to the customer. If the company doesn’t live up to expectations after the door is opened then other brand issues are at fault. It’s like they say: great advertising can get then them to try a product once. If it’s a bad product, no amount of good advertising is going to get them to purchase it a second time. This is a nice colour discussion, although you have more rules than I. One thing I’ve learned after many years in the graphic design industry is that you should try to have an open mind when it comes to coour trends. What is important is that colour palettes should coordinate and not clash. There are reasons for dark or light backgrounds or any use of colour for that matter. They usually have something todo with that gut reaction I alluded to earlier. Interesting on the blue theory. True, the water, sky representation is calming. This is also something big corporations have tuned into (ie. Microsoft). Would be nice to see something more evolved, beyond blue. What would that be, I wonder. Soft grays and greens, maybe?